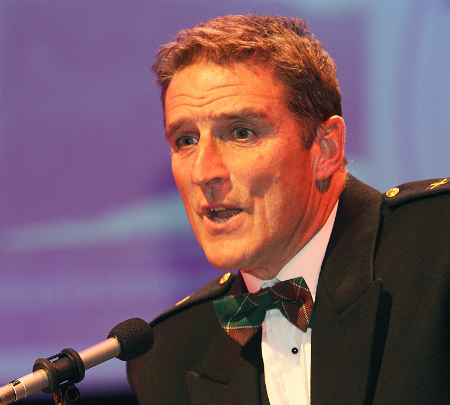 Wildlife TV presenter Iolo Williams has been part of the Springwatch, Autumnwatch and Winterwatch presenting team since 2010. He’s presented series such as Wild Wales, Rugged Wales and Great Welsh Parks for BBC 2. Iolo Williams was born and bred in mid Wales. He has a degree in ecology worked for the RSPB for almost 15 years. His role as Species Officer for Wales saw him work with some of the country’s rarest breeding birds and this, inevitably, brought him to the attention of the media. Two series for BBC 2, Visions of Snowdonia and Birdman, followed his work as an RSPB officer and in the late 1990s, Iolo left the Society to work full-time in the media. Iolo speaks Welsh and English. His series, in both languages, concentrated on the wildlife of Wales and the world and he co-presented several network series such as Nature’s Top 40 and Countryfile. He has written several books on Welsh wildlife in both English and Welsh and he is a regular contributor to several magazines, including ‘BBC Wildlife’. As a keen sportsman, Iolo has played rugby most of his life, he’s a qualified paraglider and has a PADI Divemaster qualification. He is a patron of several Welsh conservation organisations and is president of the Welsh Ornithological Society. For charity he has walked up Kilimanjaro and has twice trekked the length of Wales. All Electric Productions are experts when it comes to finding hosts or speakers for corporate, industry and public sector events. With years of experience as talent agents we represent well known and talented presenters and broadcasters who are all experts in their field and brilliant as after dinner speakers, keynote speakers, conference presenters or award hosts. Please give us a call and we will help you find the perfect person to help ensure a perfect event.